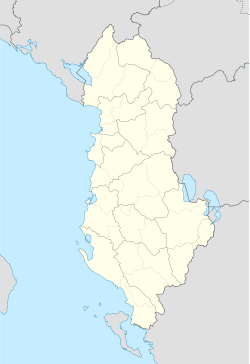 Mirditë (definite Albanian form: Mirdita, meaning either 'beautiful day' or 'good day') is a municipality in Lezhë County, northwestern Albania. It was created in 2015 by the merger of the former municipalities Fan, Kaçinar, Kthellë, Orosh, Rrëshen, Rubik and Selitë. The seat of the municipality is the town Rrëshen. The total population is 22,103 (2011 census), in a total area of 869.71 km2. It is coterminous with the former Mirditë District. The municipality is located within the wider region of Mirdita whose territory is synonymous with the historic Albanian tribe of the same name. During the time of Ottoman rule, Mirdita, along with the surrounding tribal regions, obtained a status of semi-independence from the Ottomans and managed to preserve their Roman Catholic faith. The region is known as a stronghold of Albanian nationalism and devout Catholicism. This page was last edited on 2 April 2019, at 14:06 (UTC).